Tortured German fighter ace Lt. Siegfried Krämer has a terrible secret which could ruin him: he prefers men. Hurried, loveless encounters have armed him with a sardonic wit and a bleak outlook, and he faces a life in which his only companion is his dog, Eike. 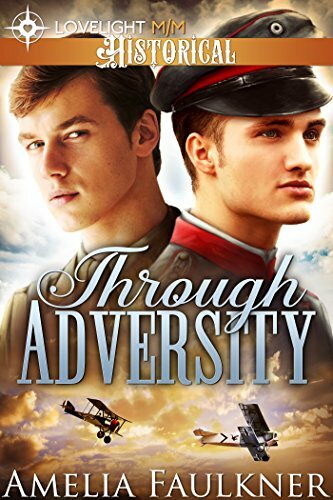 The young and talented Lt. Valentine Westbrook should be considered an ace, but most of his victories are unconfirmed, and now that his squadron is relegated to bombing missions the chances of him ever reaching the magic number are dwindling. When he encounters an equally-skilled enemy pilot during a terrible storm, Valentine is unable to resist the hunt.